Homeowners in White Plains, NY often have a great deal on their minds, from the daily duties of family and jobs to problems in their homes like faulty heating systems and troublesome plumbing. 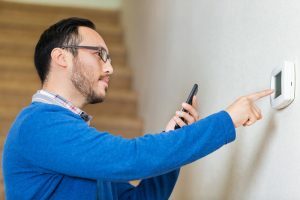 No homeowner wants to deal with a furnace or a boiler that malfunctions in the middle of winter, when the weather is cold and any interruption in heating power can turn the home into an ice box. Now is the time to start getting ready for that eventuality by preparing the household heating system for the winter. When fall begins in White Plains, NY, prudent homeowners turn their attention to their heating systems. In the event that a heater has become too worn to function properly for another winter, a replacement must be chosen and installed. Now makes an excellent time of the year to do so, before cool temperatures take over for the entire winter. It gives the homeowner a chance to evaluate all of the options and plan a replacement at relative leisure. Some signs of air conditioning trouble are subtle and hard to spot. This isn’t one of them. When you air conditioner won’t turn on, or shuts off unexpectedly in the middle of a cycle, you know you’ve got problems. White Plains, NY gets very hot in the summer, and only a few hours without air conditioning can be worse than uncomfortable: it can result in heat stroke or other health issues for your family. When the system breaks down, you need to make sure you keep as cool as possible until we can arrive to perform air conditioning repairs. 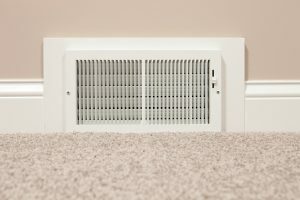 Here are some concrete steps to take whenever your AC shuts off unexpectedly.